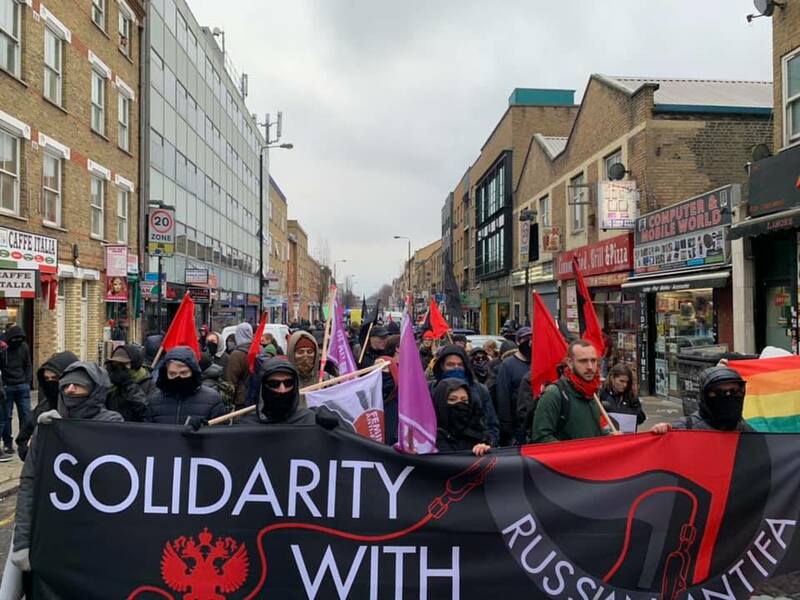 More than 150 people marched through the east end of London on Saturday, to voice solidarity with anti-fascists in Russia. The march was held on 19 January, the tenth anniversary of the killing in Moscow of two prominent Russian anti-fascists – Stanislav Markelov, a lawyer, and Anastasia Baburova, a journalist. The date was marked by demonstrations in Moscow, St Petersburg, Kyiv and other cities in Russia and Ukraine. beaten up, struck repeatedly with electric shockers (like cattle prods), hung upside down and suffocated by security services officers. 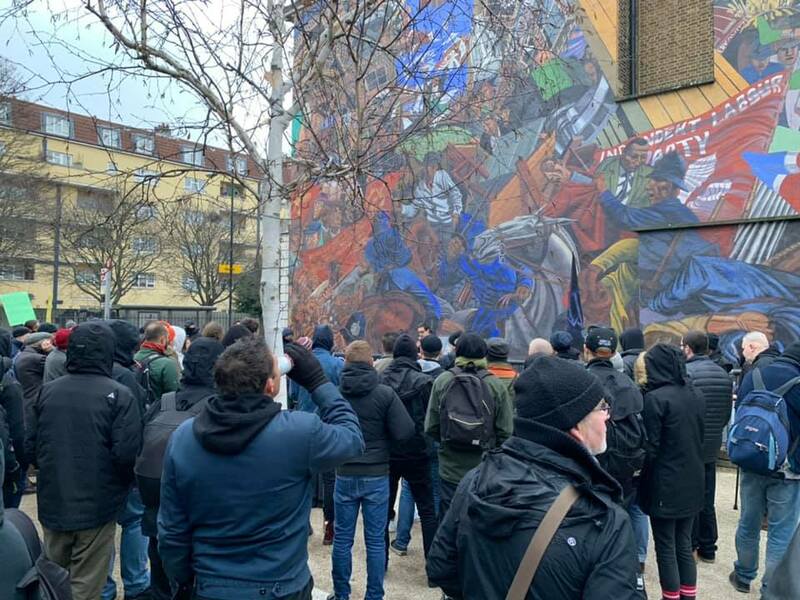 The London event started at the Cable Street mural, which commemorates the “battle of Cable Street” in 1936, when the fascists were driven out of the east end. It ended at Altab Ali Park, named after a young Bangladeshi textile worker killed by fascists in 1978. Right-wing radicalism grows from social injustice, M from Russia said to the marchers in a speech before they set out. “As long as we have rich and poor, people will be angry”, he said. Those in power try to turn that anger against refugees and migrants; we need to turn that anger against the people in power. Olesya, from Ukraine, told the demonstrators about the campaign to release about 100 Ukrainian political prisoners in Russia, including the film maker and writer Oleg Sentsov, and anarchist activist Oleksandr Kolchenko, from Crimea. She spoke of the terrifying similarity between the methods of torture used against them, and the methods used in the “network” case. We need to build solidarity between different campaigns that have a target in common, the Russian government, she said. Dimitris from Greece said that right-wing radicalism was using issues such as the re-naming of Macedonia to mobilise large street demonstrations. Thugs from such a rally had attacked and destroyed a squatted social centre, Libertatia, in Thessaloniki, last year. An evening benefit gig raised funds both for the “network” case defence, and to support Libertatia. A message of support from the Jewish Socialist Group extended “solidarity to those fighting repression” in Russia today, from “Jewish Socialists in Britain today, many of whom are descended from families who emigrated or fled to London’s East End from discrimination and oppression in the Tsarist Russian Empire, and as political descendants of the Bund – the Jewish workers’ movement that fought for a better Russia”. 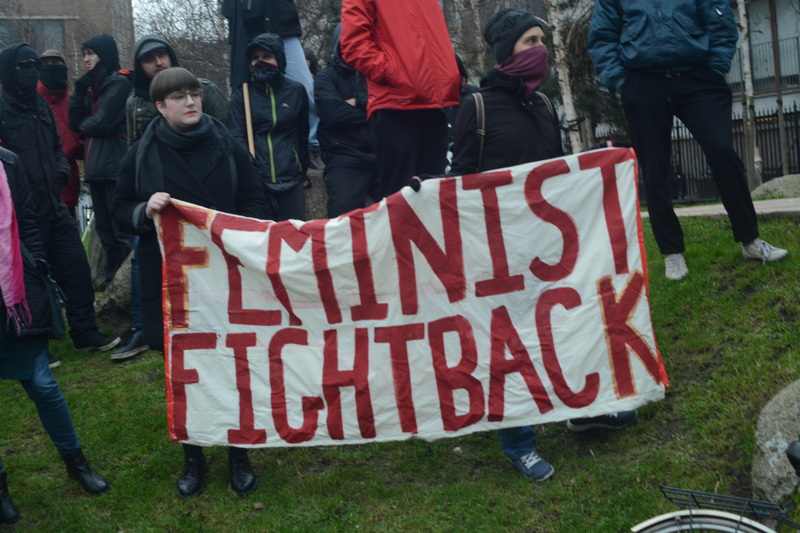 The London event was supported by: Anarchist Communist Group, Anarchist Federation, Brighton Anti-Fascists, Bristol Anti-Fascists, Brazilian Women against Fascism, Feminist Fightback, Labour Briefing, London Anti-fascists, London Anarchist Blackcross, North London Anti-Fascists, Plan C London and RS21. GL. Short film of the London demo here and more photos here. We gather here to express our solidarity with 11 Russian antifascists and anarchists arrested in a fabricated case between October 2017 and February 2018 in Russia. It has been brought to light that some of the defendants were tortured by the Russian security service officers, and forced to learn by heart testimony to incriminate themselves, to admit to belonging to a terrorist organization “The Network”. The Russian Federal Security Service tortured some of the defendants in minibuses, and in solitary confinement cells in the investigating officers’ premises. They applied naked wires to the activists’ various body parts and turned the electricity on. They beat them up, and hanged them upside down. One of the defendants said that he was tortured in the minibus for about five hours, until he was able to recite a statement confessing to crimes. His bloodstained hat and trousers, which the defence demanded be put into the case file, suddenly disappeared. The “Network” case defendants are awaiting trial in 2019. 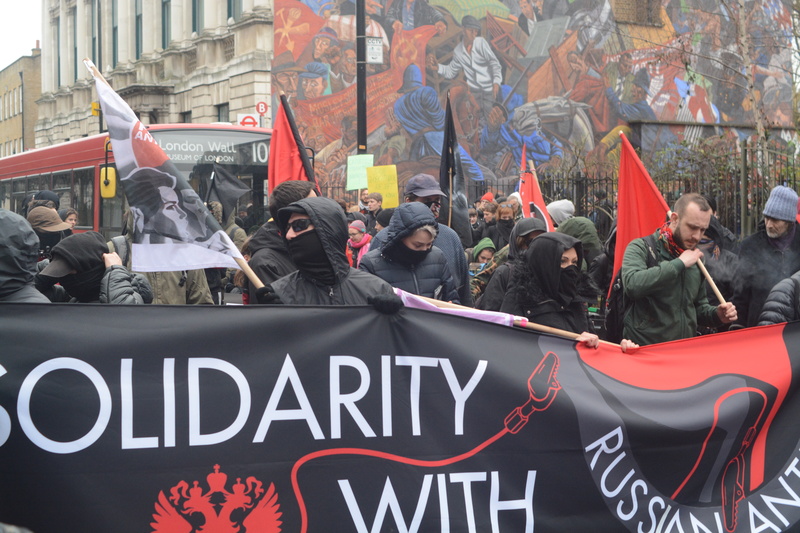 State violence against anarchists and anti-fascists, the criminalisation of any kind of protest activity in general and of the radical left in particular, is not something new in Russia. Even the fabrication of cases is a very well-known strategy. We have seen a similar level of repression after one of the biggest demonstrations in Russia since the 1990s, on May 6, 2012 at Bolotnaya square in Moscow. Back then, more than 30 people, including anti-fascists and anarchists, were officially accused of an alleged massive riot and alleged violence against police. Back then, an international campaign of solidarity helped to release some of them from prison and significantly reduce their prison terms. What is new in “The Network” case is the use of tortures and a fabricated narrative about a radical underground, which to many in Russia appear as a contemporary caricature of a Stalinist show trial. It is a caricature, because nowadays, the Russian security services do not know a difference between the fascists and the anti-fascists. In April 2018, a Russian state TV channel showed a documentary about the Network case, in which a narrator claims that “The Network” was modelled on the Ukrainian far-right organization “Right Sector”. It is this fascist “anti-fascism” that the Russian state is also promoting abroad. It frightens the Western public with the Ukrainian fascists, and tries to appear as a decolonial counter-power to US hegemony in the world. It is this “anti-fascist” fascism that also led the Russian state to Syria. And it is this “anti-fascist” fascism that tries to blur the difference between the left and the right by all means, between a plotted conspiracy and a real protest. Russia is the future of the Western Europe, the shameful future of a capitalist society that went through a series of geopolitical, economic and political crises, severe austerity measures and a rapid dismantle of the welfare state. The deeper the economic crisis is, the more aggressive the response of the state to activism is; the more severe the cuts and austerity measures are, the more brutal the forms of racialisation of the poor and criminalisation of protest are. And the less we resist such policies as “Prevent” in schools and at universities, the less we resist racist abuse at the workplace and on the streets, the less we resist the rise of the far-right and xenophobia in Europe, the greater the consequences are. All of the brutalities mentioned can be legitimised by law. And they may well be interpreted in such a way that we will soon be able to see some bureaucrat at work, concocting stories about radicalisation, the underground, and the conspiracy against the state. We’ve been told that there are West and East, we and they, democracy and barbarity, the developed and the developing countries, mature capitalism and wild capitalism. But the rhetoric of “catching-up capitalism” masks from the very beginning one simple and unattractive fact: since the countries of the former Eastern Bloc became a part of global capitalism, they showed all the features and the future of neoliberal modernity in advance. In this capitalist train of “catching up” ideology, post-Soviet Russia is the passenger who is running ahead: it shows the brutality of what is to come if no one is going to stop this train. Solidarity with the Russian anti-fascists is the solidarity against the brutality of this crushing train. Hi. Ten years ago, Russian human rights advocate and journalist Stanislav Markelov, and journalist Anastasia Baburova, were shot and killed by a Russian ultra-nationalists. I tried to write speech that will show you how important Stas Markelov was for our movement, but it seems impossible to include everything in five minutes. 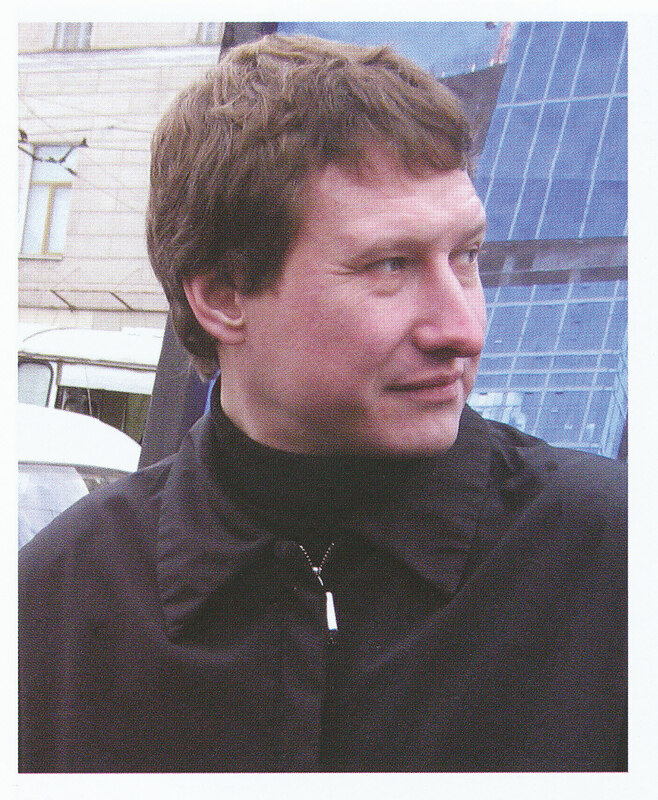 On 30th November 2008 Stas made a speech at the meeting against political terror in Moscow. I decided to read it for you, because it’s describes perfectly Stas himself and the overall situation in Russia at that time. I’m in a strange position. It turns out that I’m the lawyer of all the people who wound up in these awful stories. And I’m tired. I’m tired of opening up a criminal case and seeing that the first point in the list of charges is that the accused is a member of the antifa movement. People not only have charges filed against them for this, they are arrested and put in jail, just like [Alexei] Osinov right now. I’m tired of reading the crime pages and scanning lists of victims. This is how I found out about [anti-fascist activist Fyodor] Filatov, who was recently murdered outside his home. This is no longer a job, but a question of survival. Whereas Mikhail Beketov needs blood right now, all of us need protection. [Beketov was a journalist who supported an environmentalist campaign to protect the Khimki forest from destruction by road builders. In November 2008 he was attacked in his home, suffering brain damage and loss of a leg. He died in 2013.] We need protection from Nazis. We need protection from the mafia-like authorities. We even need protection from the law enforcement agencies, who often just serve them. We all need protection. And we know perfectly well that, besides ourselves, no one is ever going to give us this protection. Not God, not the Tsar, not the law, no one. Only we ourselves. And only when we manage to march shoulder to shoulder will we be able to protect each other, only then we will make a breakthrough. I hope that this will happen. Otherwise we’ve gathered here in vain. Only two month after this speech, on 19 January, Stas was murdered. It’s hard to make a list of all the things that he did for the left movement in Russia. He defended leftist and anti-fascist activists throughout Russia. He defended environmentalists, whose protest camps were attacked by local administrations, law enforcement officials, and legal and illegal armed units. He defended trade union activists. He defended members of the Belorussian opposition. 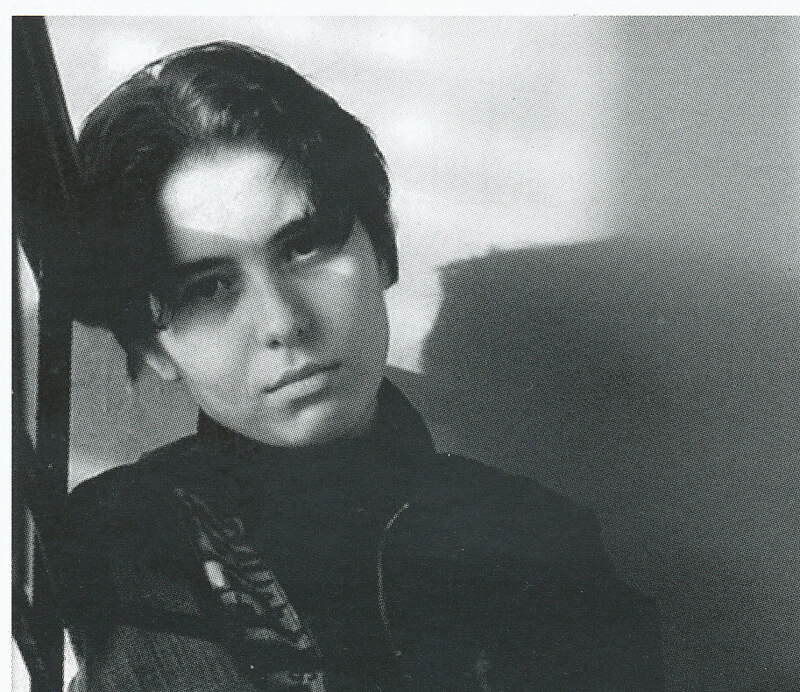 He was practically the only Russian lawyer who worked on controversial cases in Chechnya. He also represented victims of the Nord-Ost and Blagoveshchensk terrorist attacks. He and Anastasia Baburova were killed in the middle of the day in the very centre of Moscow. combined activism with journalism. That day, after the shots targeting Markelov, she could have run, but she decided to turn around and try to stop the attacker. She was killed. Stanislav Markelov as a lawyer was involved in so many hot cases that at first it was hard to say exactly who might have pulled the trigger, but at the end he was killed by Nazis. Stas and Nastya were killed by a neo-nazi organisation called BORN. This organisation was formed by people who had the desire to kill, and they made it real. As a result, BORN murdered multiple enemies of their imaginary happy white pride future. It’s obvious that such a right-wing radicals do not come from nothing. They need the basis to grow from. And this basis is social injustice. As long as we have rich and poor, people will be angry. Those in power try to turn our anger against refugees and immigrants as an easy target. But it will never solve anything, it only bring more problems and pain. We need to turn our anger on people in power, on those who start wars and destroy out planet for profits. To stop racist killings, we need to put an end to capitalism. Stas and Nastya both knew that. Everything they did was for that. And eventually they gave their lives for that. Now it’s up to us to make the rest of the world see the bigger picture, to give people the knowledge so they can fight for themselves everyday. Let’s not forget Stas and Nastya’s struggle. To remember is to fight. This entry was posted on Sunday, January 20th, 2019 at 9:26 am and is filed under Social and labour movements. You can follow any responses to this entry through the RSS 2.0 feed. You can leave a response, or trackback from your own site. Congratulations for this text Gabriel!!!! In Greece we live in the same extreme-right nightmare.